To have been an employee of a business outside the United States for one year in the last three years immediately prior to obtaining a non-immigrant visa. The foreign business can be operational anywhere in the world and need not be operational in Italy. In order for a U.S. business to be “affiliated” with a non-U.S. business for L-1 visa purposes both businesses be owned or controlled by a common entity or person. A common mistake is to assume that the U.S. and non-U.S. business have to form part of the same “group” or that one business has to own/control the other. This is not true under U.S. law. 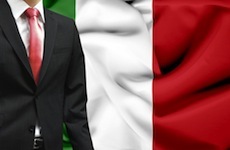 Italian business owners typically apply for an L1-A visa as a “manager” or “executive”. In order to make a successful L1-A application a business owner needs to clearly demonstrate that he or she was “employed” in a management or executive role in the non-U.S. business. USCIS in the United States and U.S. consulates in different cities maintain different evidentiary requirements in this context; Davies & Associates can provide specific guidance on these requirements given the specific facts of your case. Managers and executives of non-U.S. businesses transferring to related companies in the United States may be eligible to apply for an L1-A visa. While a non-manager can typically be promoted into a management role in the U.S. this is not possible with a “new business” (see below). Can an L-1 Business Owner form a New Business in the United States and Apply for an L-1 Visa? Yes, this is a very common fact pattern. Many of our clients open new businesses in a foreign country in order to qualify for an L-1 visa. Non-management employees may be eligible to apply for a specialist worker, or L1-B, visa. In order to file a successful application your lawyer will help you develop documentation that clearly evidences that the employee has a highly specialized skill set that is difficult or impossible to hire form within the United States. If your U.S. business has been properly operational for less than twelve months USCIS will categorize it as a “new office”. While a number of special provisions apply to new offices a principal one is that the initial term of your L-1 visa will be one year, after one year you will be eligible to extend your L-1 visa. Filing an L-1 visa application involving a newer or smaller U.S. business is a highly complex process that is best performed by an experienced U.S. immigration lawyer. What is the First Step with an L-1 Visa? The first step is to file a very thorough application. While our firm has yet to have an application we have initially prepared denied we have been asked to review multiple unsuccessful applications filed by other law firms. Our opinion is that these failures usually result from a lack of attention to detail of every element of the application. A common issue is a business plan that was not prepared with the direct assistance a properly licensed and experienced immigration lawyer who has substantial experience with the preparation of business plans and who is financially literate. The application itself is always filed in the United States either marked for “consular processing” or “change of status”. While it has no bearing on visa issuance tax planning is always essential for any foreign person coming to the United States. Where a new or substantially altered U.S. business is being formed in the United States improper tax planning can result in hundreds of thousands of dollars in completely unnecessary tax liabilities. Tax planning is a highly specialist field. Davies & Associates has access to a team of dedicated tax lawyers who assist our clients with their tax planning needs. What is Davies & Associate’s Record with L-1 Visa Applications? Davies & Associates files a large number of L-1 visas each year and as of November 2014 have yet to have an application denied. All L-1 visa applications start life as an L-1 Petition filed with USCIS in the United States. Once an L-1 Petition is approved the successful applicant can either “change status” to L-1 status from within the United States or apply for an L-1 visa from a U.S. consulate abroad. Note that if an applicant who has “changed status” to L-1 status from within the United States leaves the country then he or she will have to obtain an L-1 visa from a U.S. consulate in order to re-enter the United States. As no visa can be issued from within the United States most applicants ultimately end-up taking their approved L-1 Petition to a U.S. consulate and obtaining an L-1 visa. Only applicants who “change status” to L-1 status and then never leave the United States do not have to apply for a L-1 visa at a consulate. 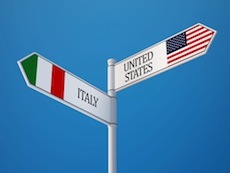 With multiple presences in the U.S. and a presence in Rome Davies & Associates are well equipped to assist Italian L-1 visa applicants. One of the most commonly used ways to obtain a “green card” for an L1-A visa holder is the EB1(c) mechanism. While the requirements for obtaining an EB1(c) “green card” are broadly similar to those for L1-A visa issuance the standards applied are much hirer and stricter. 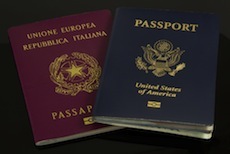 Click here to learn more about EB1(c) “green cards”. A number of our clients come to the United States and establish a business. Shortly after receiving their L-1 visa they apply for an EB5 visa. You have been physically present in the United States for two and one half years of the total five-year period.